India’s one of the biggest SUV manufacturer, Mahindra & Mahindra Ltd. (M&M) has recently announced the opening of re-booking of their most popular car in India, Mahindra XUV 500. The booking of XUV 500 for a limited period will be started from 25th January to 3rd February 2012. Booking of Mahindra XUV 500 will now extend to 19 cities in India such as Mumbai, Delhi, Chennai, Bangalore, Pune, Hyderabad, Kolkata, Ahmedabad, Chandigarh / Panchkula, Ludhiana, Jallandhar, Patiala, Kochi, Trivandrum, Calicut, Trissur, Coimbatore, Nagpur and Nasik. The company has decided to undertake an XUV 500 draw in the next round of bookings in case the requests exceed 7200. The new car draw application period is from 9 am on January 25th to 7 pm on February 3rd, 2012. Along with this XUV 500 draw application form one will have to pay amount of Rs. 80,000 /-. The result of the XUV 500 draw will be declared by February 15th, 2012. The all new Mahindra XUV 500 price is tagged between Rs. 11,11,000 to Rs 13,43,000 (ex-showroom New Delhi). Presently XUV 500 is available with three massive variants like Mahindra XUV 500 W6 2WD, Mahindra XUV 500 W8 2WD and Mahindra XUV 500 W8 4WD. The auto giant is already having a good number of SUV cars in India. The all Mahindra SUV’s are getting extremely well response from the Indian auto market. 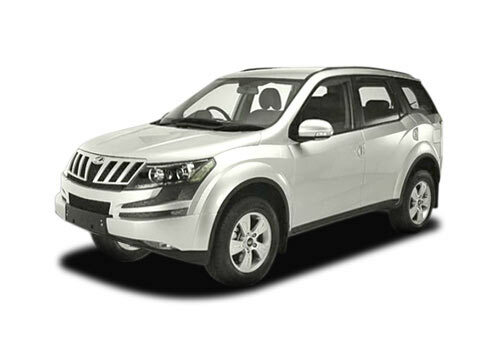 Mahindra XUV 500 Pictures seems very eye-catching and stunning. It is totally different in looks from their tough competitors. Mahindra & Mahindra is best seller of sports utility vehicles in India - Mahindra Scorpio, Mahindra Xylo, Mahindra Bolero and Mahindra XUV 500. The much awaited XUV 500 is already getting tremendously well response from the Indian auto market, the company hope will be continuing getting huge response and offering excellent performance in India. Behind of it, the company is also selling Mahindra Thar (Jeep) and Mahindra Verio sedan in India. Both cars also offering their good performance in the auto market.